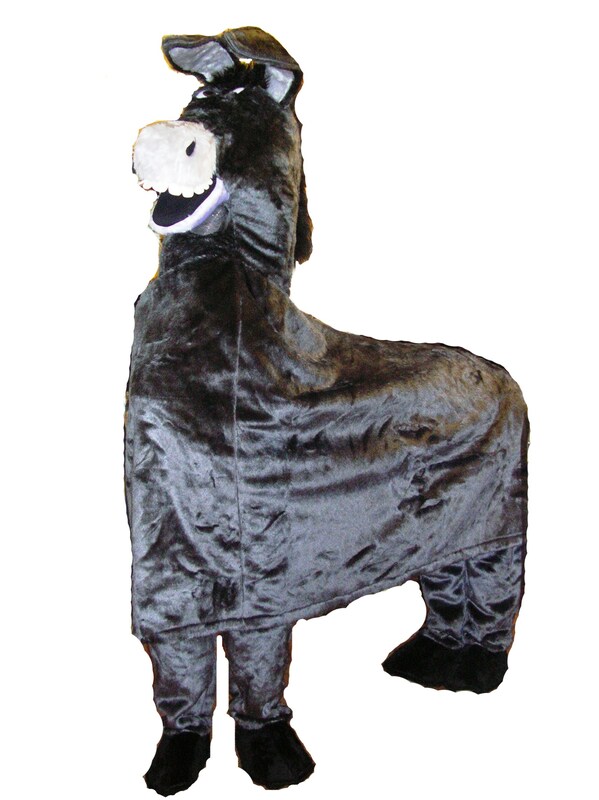 This wonderful Donkey costume is either a two person donkey costume or a single adult costume. 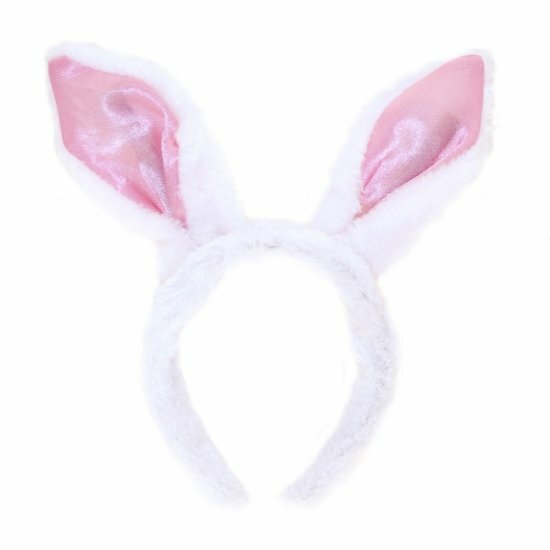 Works well as a Shrek Donkey Costume, Easter costume, or Christmas Costume. 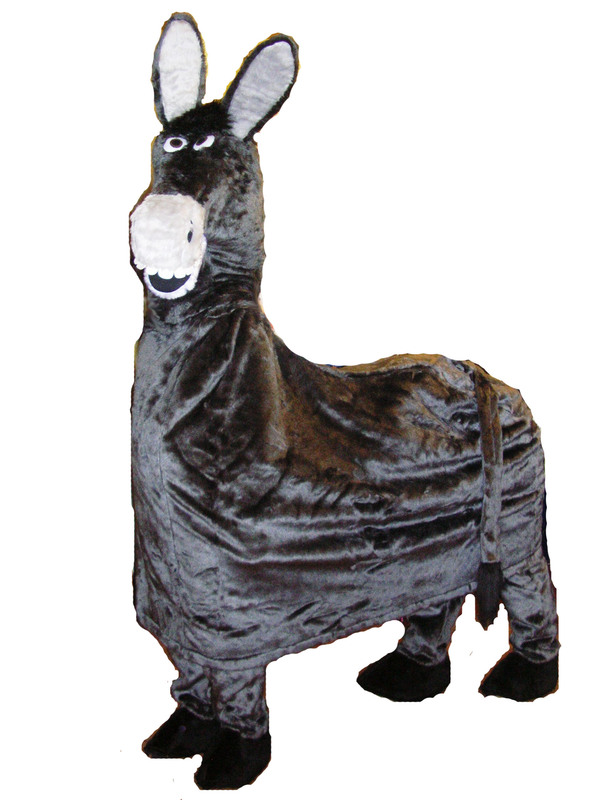 If you are looking for the Donkey from Shrek costume, look no further, this plush jolly Donkey will be an instant hit. 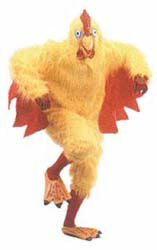 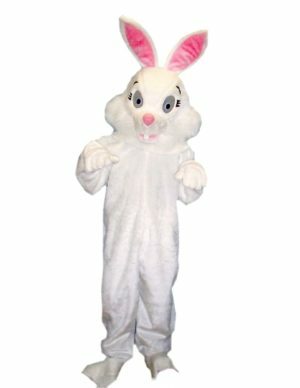 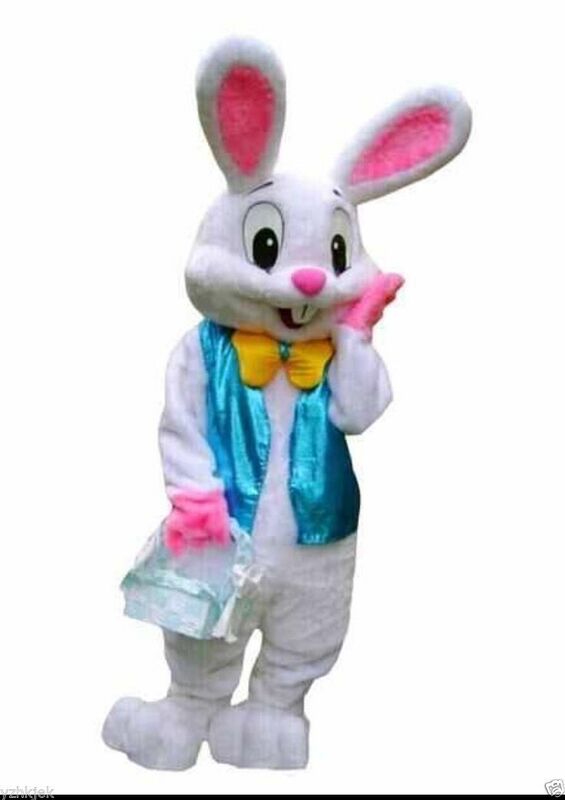 This child friendly animal costume, will be perfect for your nativity costume, or for your farm animals fancy dress. 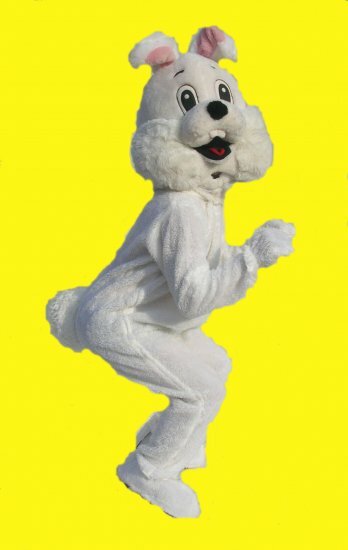 This donkey to hire will have everybody smiling. 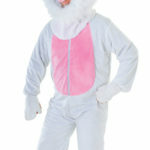 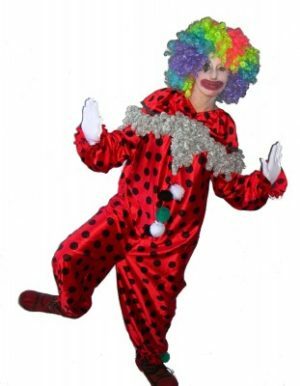 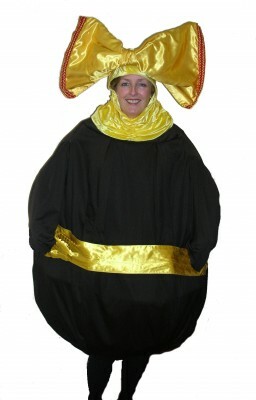 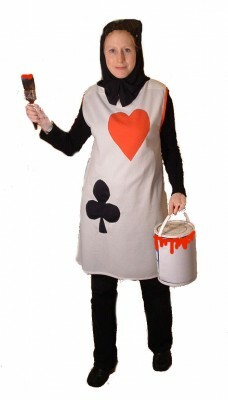 This Donkey outfit can be ordered as a single person version or as a 2 person donkey costume for a small additional cost. 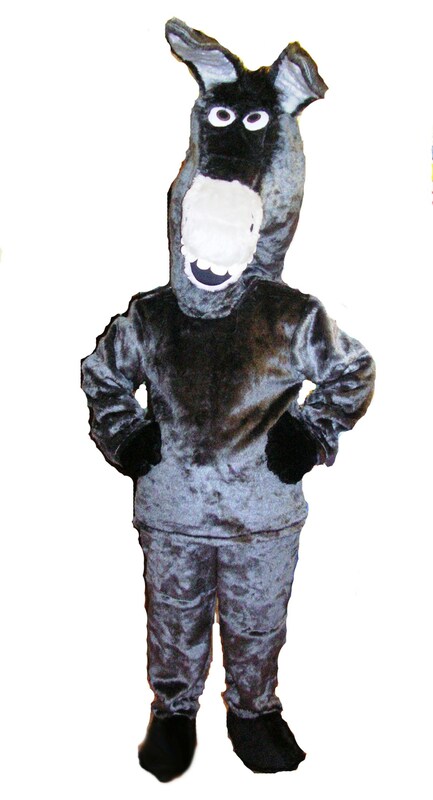 Donkey fancy Dress includes grey elasticated waist fur trousers, and either body cover for 2 or top with attached gloves, and donkey head.